After a harrowing fight that was literally all in his mind, the Superior Spider-Man is back to work and potentially Ghost-Peter-Parker free. Still, with his behavior being ‘off’ and his actions being a bit out of character, people are starting to wonder just what the heck is up with Spider-Man lately? More after the jump! Slott knows how to create suspense. Art makes a depressing plot less depressing. Satellite characters come off as naive and stupid. Cartoonish art is not for everyone. Previously in Superior Spider-Man: After finding out that Peter Parker was still lurking around in his (?) mind, Otto Octavius uses his neuralitic scanner to find and erase Parker and his memories once and for all. After a semi-Inception style brawl with Parker trying desperately to keep his memories and, by default, himself intact, Octavius seemingly won, erasing what was left of Peter from existence. SUPERIOR SPIDER-MAN: NOW WITH 100% LESS PARKER! Now that he no longer has the phantom of Peter Parker following him around and randomly taking control of his limbs, Octavius is free to continue patrolling New York at a leisurely but effective pace. As Peter Parker, he has a stable job, he’s about to get his doctorate, and he’s really starting to like Anna Maria Marconi. Still, that doesn’t change the fact that he’s been acting really non-Spider-Man-like and it’s beginning to turn heads. While Spider-Man has never been more interesting than he is now, one can’t help but hope that Octavius is eventually caught and everything is put back to normal because, quite frankly, letting the villain win is a bit depressing. When it comes to this, Slott is either a genius or a masochist or both. He seems to enjoy dragging out just how effective Octavius is at not only being Spider-Man, but also how effective he is at keeping the secret that he’s actually himself and Parker is potentially dead (again). In this book, the momentum is starting to gain a bit of traction, as some key people notice Spider-Man is not quite himself lately. Mary Jane notices that not only has Peter not talked to her, but he’s also brushed her off and has ceased coming to her rescue. Aunt May has noticed that Spider-Man himself is acting more violent. Carlie Cooper has already begun her inquiry with the Captain Watanabe regarding Parker’s murder of Massacre. Even regular street-cops are noticing that Spider-Man isn’t as funny as he used to be and that he no longer leaves little notes with the criminals he’s caught. With so many people noticing, it’s getting frustrating as heck that someone doesn’t just put two and two together. Perhaps it’s something to be taken with a grain of salt in a genre where secret identities are rarely found out despite glaring inconsistencies and similarities. Still, when Spider-Man has recently murdered someone execution style, I’d think it would make a few people do more than ho-hum at the situation. It’s easy to have mixed feelings about Stegman’s work and here it’s fairly evident why. On the one hand, his work has a very fun albeit cartoonish element to it, with a heavy emphasis on motion, color, and other similar traits associated with cartoons. On the other hand, sometimes the work looks hurried and a bit jagged, as if there was a rush this time to get this particular book out. It’s really a toss up and dependent on what the viewer likes personally. That said, the cartoon-style is oddly fitting for this book. With a plotline that leans on the depressing side depending on how one feels about Doc Ock stealing the Spider-Man role, the art keeps it light and relatively fun. BOTTOMLINE: SLOTT! HURRY UP AND MAKE THIS RIGHT! While Slott has definitely revamped the character and has added a whole new element of suspense to this particular story, it’s starting to get a bit silly on how little everyone seems to notice or care about Spider-Man’s newfound blood lust. It’s nice that people are starting to notice, but a little action would be nice. And the cartoon styling of Ryan Stegman keep the series as upbeat as possible. I just find it hard to believe that people are this ridiculously stupid about whether there’s something up with Spider-Man. 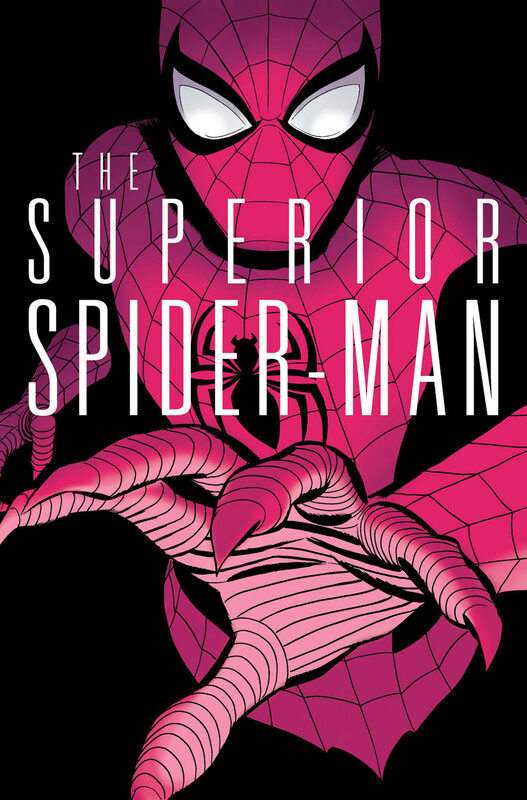 Overall, Superior-Spider-Man #10 earns three and a half stars out of five. I’ve been following along and I suspect they are going to drag this out for quite some time. I think we won’t see Peter Parker bag in the saddle until close to next summer . . . . right about the time when “Amazing Spider-Man 2” hits theater. But maybe that’s me being cynical. That would make sense. I mean, really, Spider-Man has never been more interesting than he is now and I still keep coming back to this book despite feeling a little dead inside since evil won. Again. The way I see it is that evil hasn’t really won here. Because it’s very obvious Ottoman can’t keep this up forever. Especially now that he’s gotten rid of Peter for good. Keep in mind that Otto didn’t just erase the Peter Ghost. He also erased all of Peter’s memories, because otherwise a new ghost would just coalesce from the impersonal mass of Peter’s experiences and the whole problem would start over again. So every trace had to go. The problem comes when Otto now utterly lacks things Peter would know, an advantage he enjoyed up until this point. From here on, Ottoman can only rely on what he knew of Peter’s life, rather than what Peter himself experienced. Odds are, Carlie Cooper is going to confront Otto sometime in the future, and it’s that lack of knowledge that will ultimately doom him. And there’s the point. This isn’t a story of evil’s triumph. It’s a tragedy, with a tragic hero in the driver’s seat. Otto could be a great force for good, and could live the life he’d always dreamed of. Everything could end with his victory…but it’s his tragic flaws that will do him in. His unwillingness to divert from his more maniacal path can only result in his failure, as any good tragedy should end. And it’s not like he’s entirely unsympathetic. The entire issue before he wasted Peter’s ghost had him save the brain of a little girl. So he’s no irredeemable. Whether he’s willing to pursue redemption and turn away from villainy is what ultimately decides whether he’s going to succeed or fall. And that’s what I love about Superior Spiderman. I don’t get why people think the villain winning is depressing…a lot of the reviews I’ve read about this series seem to gravitate towards that. Peter Parker is obviously going to be back at some point, so a big part of the fun of this series (at least for me) is seeing how they’ll do it. Plus, like it or not, Ock really IS the Superior Spider-Man. In my oh-so-humble opinion, of course.